This post is sponsored by JCPenney, however, all opinions expressed below are 100% my own true and honest opinions. In a blink of an eye Christmas is already here, and I can’t be the only one that thinks she has all the time but turns out it's only a couple days away?! This has turned out to be the busiest time of year for us, and running around to 5 different stores just wasn’t in the cards for us. I decided to pick a store I know has great deals & already love. 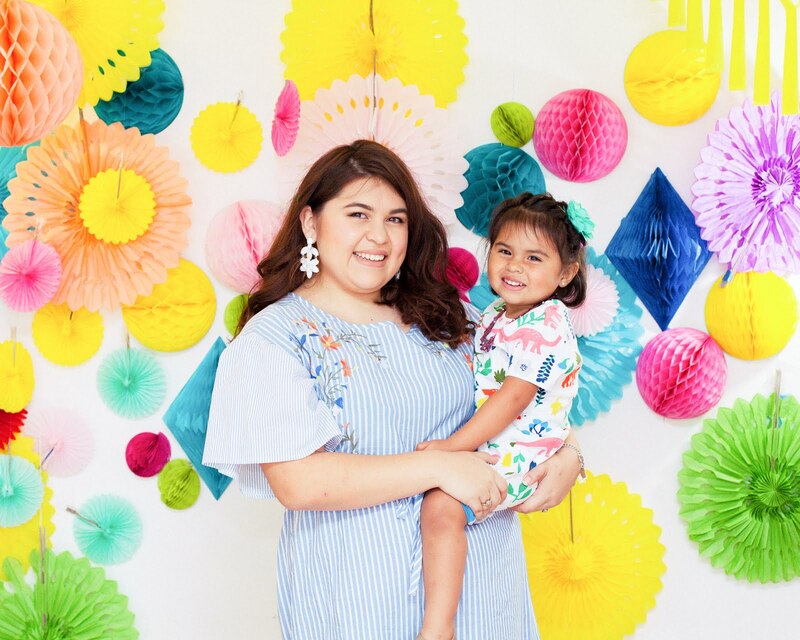 JCPenney literally had everything I was looking for, especially cute and quirky gifts! 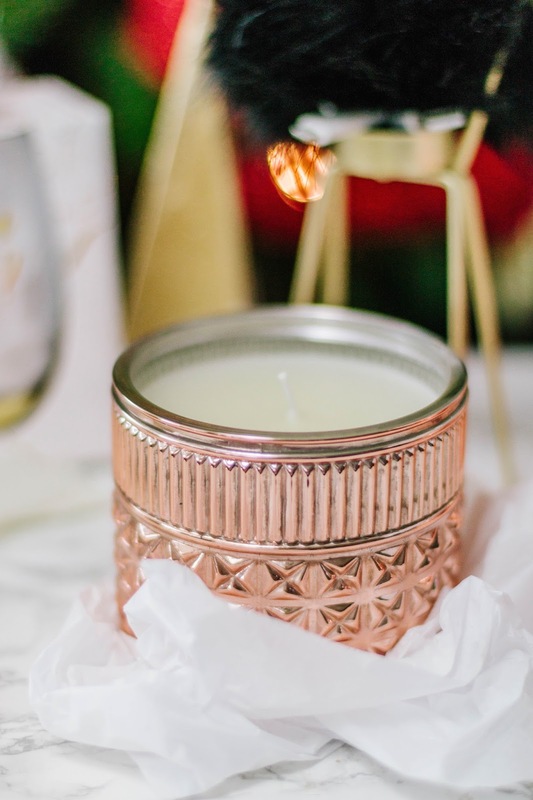 This gifting season, I took the holiday challenge at JCPenney to beat my holiday budget & get everything for less! My favorite thing to do is look on the JCPenney app for things I already know my friends are going to like and while I’m in store pick them up! Especially now that there isn’t that much time left. 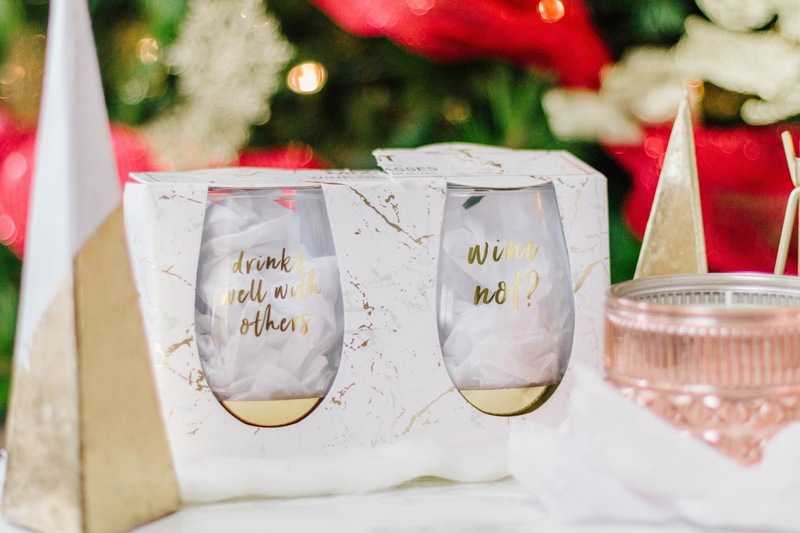 It’s no secret that all of my friends love to throw back a glass of wine or two, so one of my favorite things to gift them are a couple of wine glasses with some cheeky sayings! Also, I like to challenge a few to try something new. 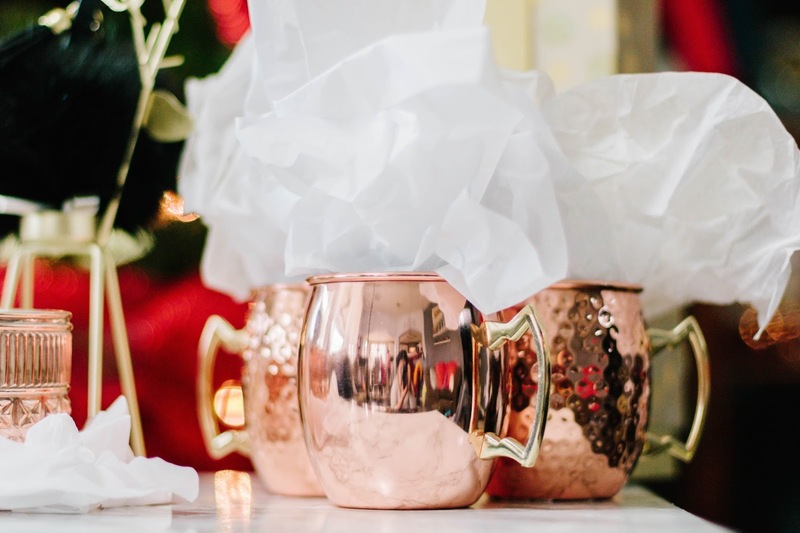 These rose gold Moscow mule cups let me fill it with gift cards & jewelry too! 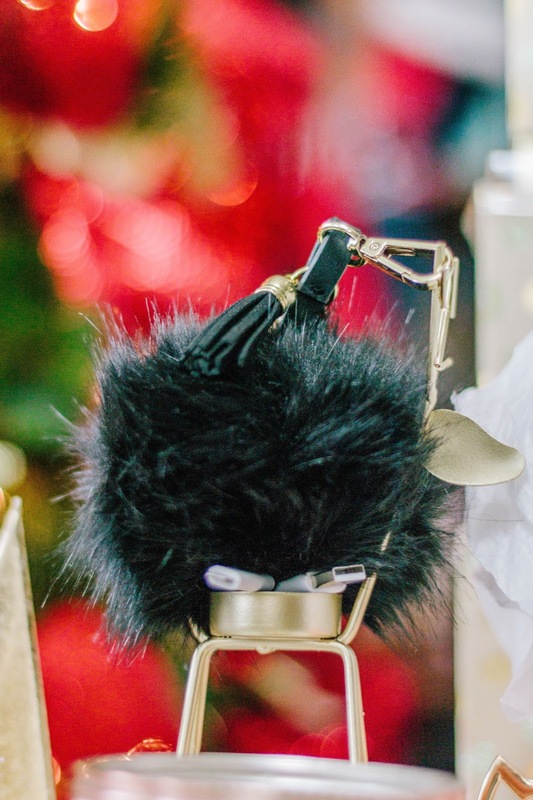 Make sure to check out the Jacques Penné Boutique where they have loads of Christmas gift ideas!